We can help you with immigration to Dominica. 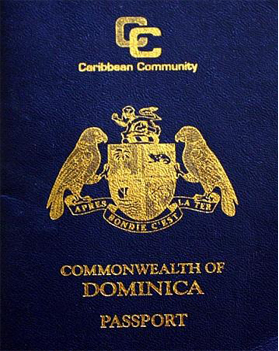 The Dominica citizenship by investment program is one of the fastest, most reliable passport programs in the world. The entire process can be completed in just a few months and does not require that you travel to Dominica. If you have the funds, this is an investment you should absolutely consider making. UPDATE Feb 2015: The Dominica Government has removed the mandatory interview requirement.The removal of the interview requirement will make this program even easier, faster, and more efficient. Dominica is open to Iranian nationals. Regulations allowing visa-free travel to the European Union are currently under review in Europe. France Visa not required 90 days in any 180-days in Schengen Area. Also visa-free for 15 days for French Guiana, Guadeloupe and Martinique, Saint Martin and Saint Barthélemy. Indonesia Visa not required 30 days. Select ports of entry. Netherlands Visa not required 90 days in any 180-days in Schengen Area. Also visa not required for Aruba/Curaçao, Sint Maarten and the Caribbean Netherlands. Uganda Visa on arrival Determined at the port of entry.